First and foremost, these are cream highlighters – yes, I know cream products are not everyone’s cup of tea but let me tell you right now: these ones are everyone’s cup of tea (or coffee or wine, ya know, whatever you’re into) because they are just that GOOD. But before we get into the formula, which is really the magical part, let’s talk about the shades: Magic Lamp (the bronzey gold), You Wish (the rose gold) & Diamond Sky (the bright white). 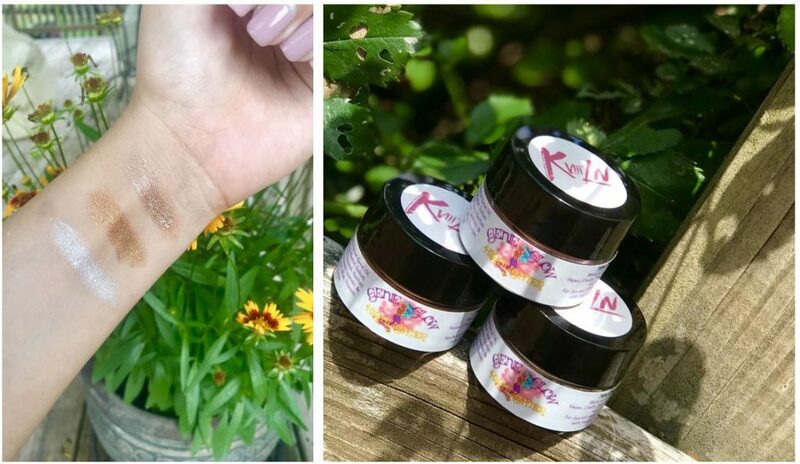 I first tested You Wish because I fell in love with it right away – it’s one of those perfect rose golds that isn’t too pink or too gold and will honestly work for nearly every skin tone from light all the way to deep. And yes, it was STUNNING! Suuuuuuper reflective and intense but blended into the skin just right. But my heart was soon stolen by Diamond Sky. I was a bit more hesitant with this one only because it appears to be such a stark white and initial swatches were just a tiny bit chunky. But boy, am I glad I gave this one a fair shot because OMG, this is literallyyyyyy GORGEOUS! It is sooooooo freaking intense but in the best way possible. I am not exaggerating here – this is unlike any other highlighter in my collection and I have a ton! I wear glasses so typically it’s a bit tough in general to notice my highlight since my frames kind of sit right on my cheeks where I apply highlight. But this one did what no other has done – it shined through my shades! I couldn’t believe it. I kept noticing it every time I passed a mirror or basically anything reflective – it’s that intense! It may seem scary at first but DO NOT sleep on this shade. I am telling you. It will definitely work for super fair skin tones and I’m currently quite tan and it was perfect! I am just not sure how it may work on deeper skin tones since it is so light. Magic Lamp is a bit too dark for me to wear as a highlight shade but I have used it quite a few times as an eyeshadow and it is a stunning shade! 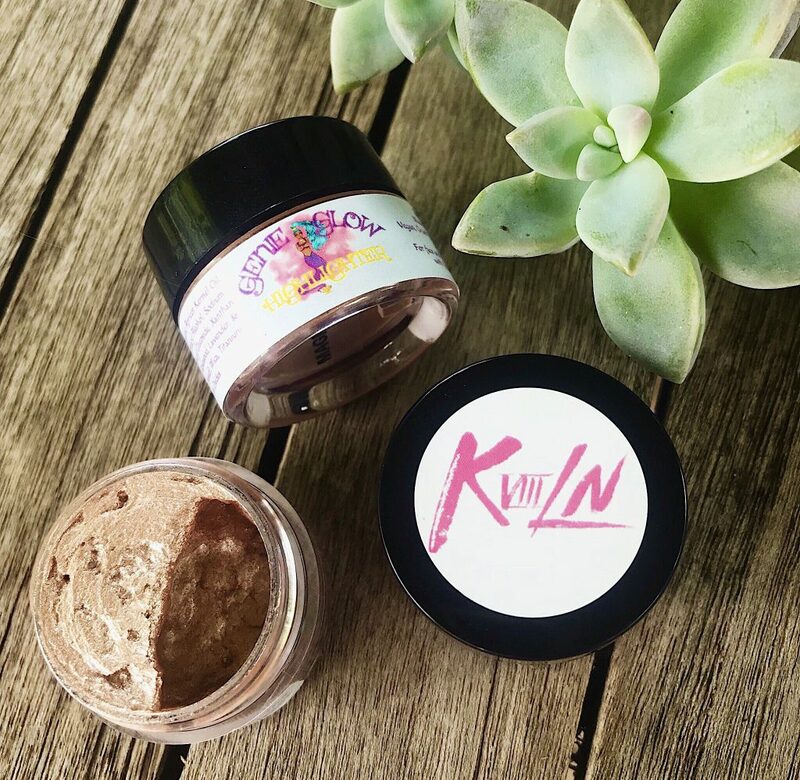 If you are going for that wet-looking, bronze goddess vibe, this is the one you need! And as if these couldn’t possibly get any better, check this out – these are Cruelty free, paraben free, soy free & gluten free! Plus, they’re vegan, 70% organic & made in the USA – so basically they’re beautiful and good for you + the earth + the country. Everyone wins! 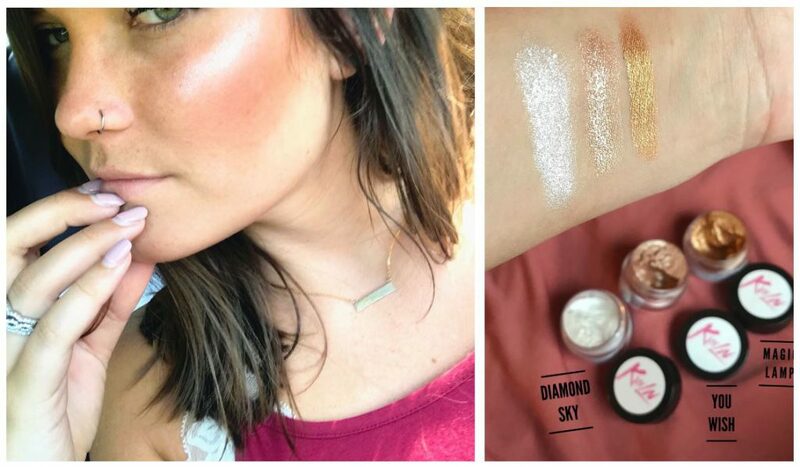 My overall thoughts on these highlighters is obv super positive; they are creamy, pigmented, super intensely glowy (but can also be applied very sparingly for something more subtle if that’s what you’re into), shimmery without being glittery or chunky, versatile, easy to apply, long wearing (they seriously last all day!) and from a great brand at a great price! 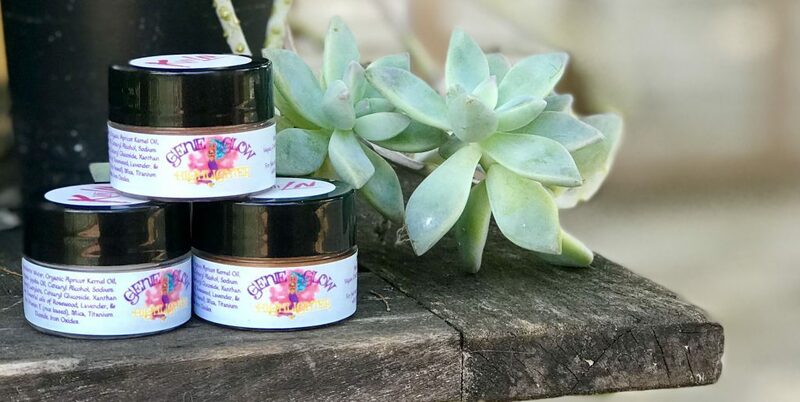 There is seriously a TON of product in these little jars and you need such a tiny amount for each use. A little really does go a long way so you will not run out of these any time soon, I promise. With that being the case, $14 is a steal for one of these. 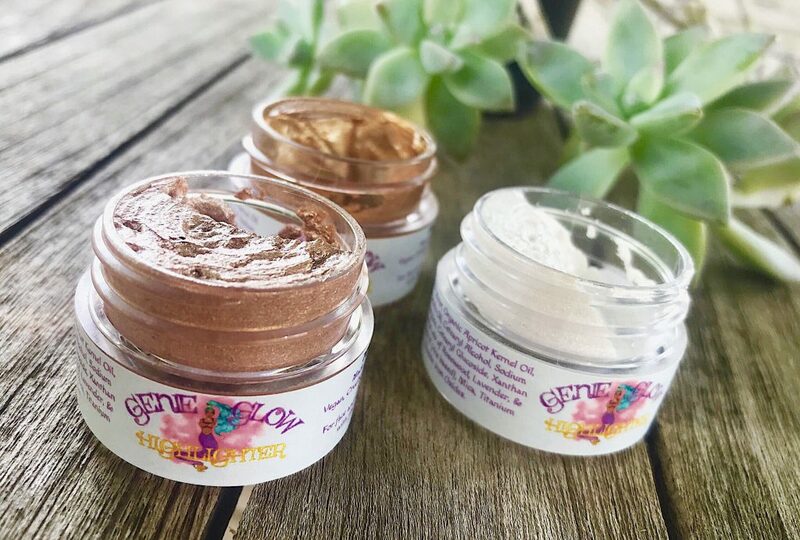 I was also thinking these would probably be great to mix into your foundation to add an extra layer of glow to your base – I haven’t tried that yet but I am soooo doing that ASAP and will report back. Like I said, it looks like the pre-order ends TODAY, 6.18 so you’ve gotta go grab them NOW! They will of course be available again in the future once the pre-order is over so if you happen to stumble across this after today, no worries! You can totally still get them. Just click the button below to head right over to the KVIIILN website to get yours! Happy glowing!